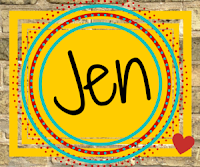 GoodReads Summary: When Momma spots a wishing star, she starts to ask for world peace—but a sneeze changes “peace” into “peace-AH-AH-AH-choo!” World PIZZA! Suddenly, yummy pies of every kind come drifting down from the sky. That’s not exactly what Momma hoped for . . . or is it? With humor, warmth, and heart, this delicious picture book celebrates the things that truly bring us together. What I Think: Oh, if only it was so easy to bring peace to the world! As an adult, I understand the complexities of so much more than a child would reading this text. Looking at it through the lens of reading this with a child or a group of children, I can see how it would definitely be a way to start conversations. Food is a part of culture but at the same time culture is so much more than food. And food brings people together. I love that World Pizza brings our attention to this. Right away the 5 F's of culture came to mind: food, fashion, famous people, festivals, and flags. Too often, these are the elements of culture that we see and understand without seeking to know more. Using World Pizza, we can see how food is different in different parts of the world and we can start a discussion about how each of us might like different kinds of pizza. I like a good veggie deep dish, no cheese and my younger son likes his pizza with bacon. Starting with something like pizza, that might be familiar to most kids, is a great way to start to recognize that we might have common tastes or we might have different tastes and that's okay. We can have our own opinions about foods and still get along. But then this discussion can turn into discussions about other things and still come back to the idea that we might be similar or different but we can still get along. 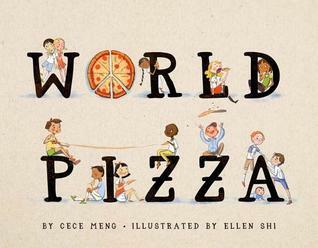 As a mentor text, I would read World Pizza and have students think of what they like on their pizza. They can draw and/or write about kinds of pizza they like. They can discuss things like their favorite pizza place, favorite type of crust, favorite sauce to cheese ratio, favorite toppings, etc. But there might be some kids who've never tried pizza or don't like pizza and that's okay too. It might be really neat to have each student write about their connections with pizza on a "slice" of paper and then the slices can be fit together into one pizza or a few smaller pizzas to show how our opinions can connect. chocolate cherry pizza, and extra-cheesy-with-pickles pizza. None of the pizzas were the same, but they were all delicious." Writing Prompt: Why do you think the author decided the pizzas would all be different? And why do you think that she said, "...but they were all delicious"?